Celiac disease is an autoimmune disorder that affects approximately 1 in 100 people worldwide. It occurs in genetically susceptible people when their body reacts to gluten (a protein found in wheat, barley, and rye) by mounting an immune response that attacks their small intestine. This immune response damages the villi that line the small intestine and absorb nutrients. This damage can lead to a typical celiac disease presentation with a variety of gastrointestinal symptoms, an atypical presentation with extra-intestinal symptoms, or it can be silent with no symptoms at all. Even in silent celiac disease, damage is occurring and increasing the risk of a number of serious long-term health problems. There are approximately three million people living with celiac disease in the United States alone, but 83% of them are either undiagnosed or misdiagnosed with other conditions. So, when should you suspect it and what should you do if you think you or your child might have it? Celiac disease has been associated with 300 symptoms, many of which seem unrelated and make a correct diagnosis more difficult. The average time from the onset of symptoms to a celiac diagnosis is 6 to 10 years! See the comprehensive list of symptoms from the University of Chicago. The symptoms of celiac disease differ by age group. Infants and toddlers frequently have a typical celiac presentation with chronic diarrhea, loss of appetite, a bloated belly, abdominal pain, vomiting, and poor weight gain or weight loss. Older children may or may not have GI symptoms. If they do, they tend to be less obvious than in younger children and include intermittent diarrhea and/or constipation, bloating, nausea, and recurrent abdominal pain. Teens and young adults often have no obvious GI symptoms at all, but can experience any of these as well. Also important to consider is that kids and adults with certain other conditions are at much higher risk of developing celiac disease. Kids with type 1 diabetes, juvenile arthritis and other autoimmune disorders, ADHD, Down syndrome, Turner syndrome, Williams syndrome, or who have a parent or sibling with celiac disease have up to a 12% chance of developing celiac disease themselves. The Celiac Disease Foundation has a symptom interactive checklist online that you can fill out and submit to see if you should be tested. It is simple to screen for celiac disease by checking the blood for celiac antibodies, and the most common test is called a tTg-IgA test. However, the test will not be accurate if the person being tested has an IgA deficiency or if they are on a gluten free diet when the test is done. Children under two years old may also show a false negative with this test. There are additional antibody tests that may be done, including tTG-IgG, EMA, and DGP. Sometimes the blood is also tested for the presence of the genes HLA-DQ2, and HLA-DQ8. (One of these genes is required for celiac disease to develop, but not everyone who has one or both of them will get it). If the screening is positive (and in some cases even with a negative antibody test), the next step is an endoscopy to confirm the diagnosis. The doctor will biopsy at least four sites in the small intestine to look for the characteristic flattened villi and other changes that occur in celiac disease. In some cases, where the child has a typical celiac presentation with GI symptoms and very high antibody levels, some doctors will elect not to do the biopsy, but this is not very common. It is very important that you (or your child) have been eating gluten for several months before most testing (antibody tests and biopsy) to be accurate, so do not start a gluten free diet before you get tested! For more details on testing for celiac disease, see this NIH page or this guide. The only treatment for celiac disease is a life-long strictly gluten free diet. 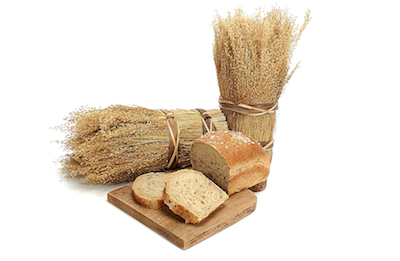 Gluten is a protein found in wheat, barley, and rye, which means that it is in most processed foods. Most meats, cheese, milk, eggs, fruits, and vegetables will be fine, and there are quite a lot of packaged gluten free crackers, cereals, pastas, and breads available now. You will still need to be careful as gluten hides in a lot of products that you would not expect, like nuts or frozen vegetables that are packaged on the same equipment as products with wheat. Medications frequently contain gluten, and pharmacies are not always able to tell you which ones are safe. This website has a list of which drugs are gluten free. You also need to be aware of gluten in non-food items such as toothpaste, lipgloss, and play-dough. Going gluten free can seem overwhelming at first, but is very doable once you know what to look for on labels and learn how to cook and bake gluten free. The easiest way to get started and make sure you or your child can heal is to make your entire house gluten free. The family members who do not need to be gluten free can continue to eat gluten at school and work, but you will eliminate the risk of cross contamination or a child getting into food that is not safe. It only takes a single small crumb from the toaster or in the butter to make someone with celiac disease very sick. There are many wonderful support groups, both online and in person in many communities. Also, look for gluten free cooking blogs and cookbooks to help you find gluten free recipes. I recommend checking out cookbooks from your library before deciding which ones are worth buying. Deborah Mesdag is an adult with Congenital Central Hypoventilation Syndrome (CCHS) and celiac disease. She is a chef and the Managing Director of Fearlessly Free Chef, a gluten free and top 8 allergen free company. Disability Issues: Where Do the Candidates Stand?